In April 2007 I created a documentation viewer stack, and then in July 2011 I completely redid it from scratch. It takes the Revolution documentation files and exports them into a SQLite database. 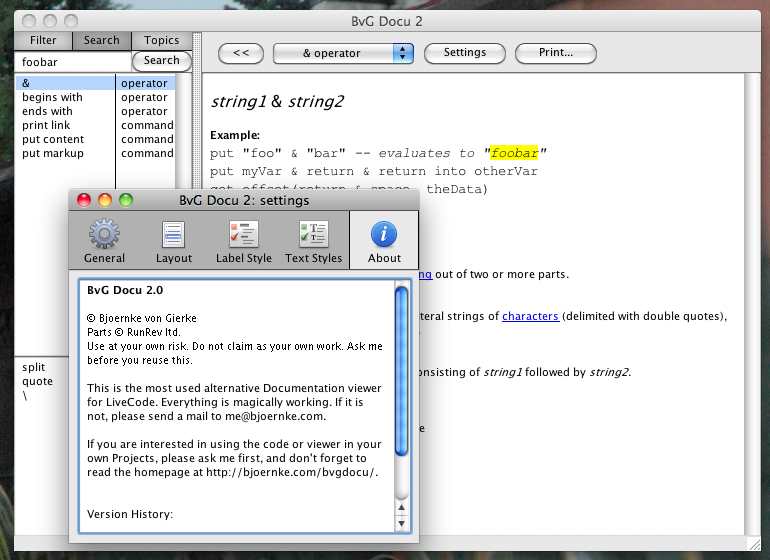 The main advantage compared with the build-in docu is speed, full text search, and less verbose list of terms. 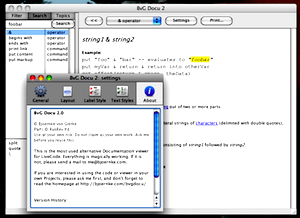 Known to be compatible with LiveCode versions 4.0 to 4.6.3. For older versions of Rev and LC, (from 2.7.2 to 4.5) here is also the previous version. Note: this older version creates a lot of files, instead of a database.